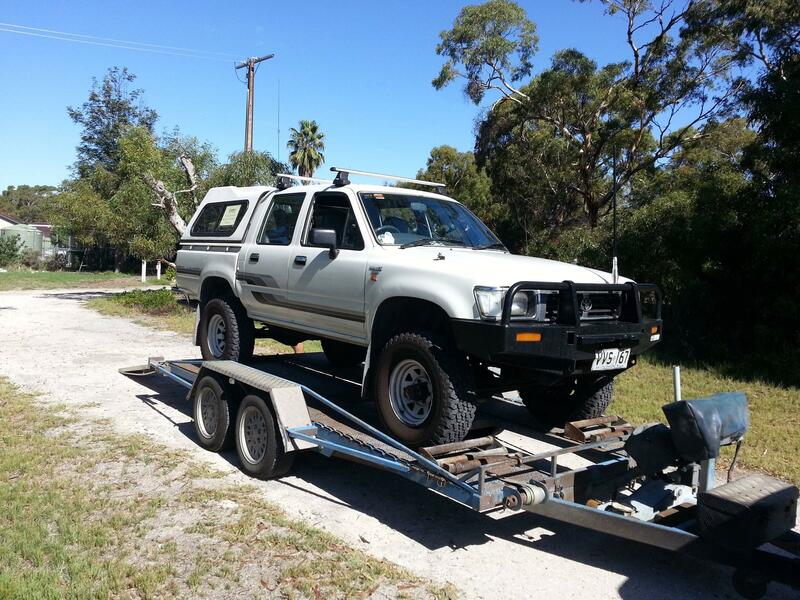 Well after some 392,000 km’s my Old 1996 Toyota Hilux decided to call it a day in rather spectacular fashion. On this trip the harmonic balancer spun on the end of the crank shaft, which was a messy situation that would ultimately result in either a proper engine rebuild or permanent retirement of the car. She came home on the back of a trailer, the first time in 18 years that she’s never made it home on her own. Now I simply don’t like the newer Hilux models with all their fan dangley new engines that make noise on RF and you can’t drop a spanner between the engine and the body and not see it fall through. My Hilux had a “simple” Toyota 3L naturally aspirated 2.8L mechanically injected diesel, this makes it the perfect car for mobile HF and foxhunting, since there is nothing in the car that can make any RF noise (except the alternator brushes). Besides I’ve owned this car for 18 years now so I know everything that is wrong with it, what’s been replaced and what needed to be fixed. I had planned on rebuilding the engine at 400,000 kms since it was due a new timing belt and my parents were going away for 3 months so I could borrow there spare car. However with a bit of “bush mechanics” and a tube of loctite 660, we (well the royal we) effected a repair on the old engine for the necessary three weeks to tide me over. When the old girl was backed down the drive way she’d done just over 395,000 kms not a bad innings. One of my fellow club members Gary VK5FGRY happens to be a retired mechanic with many years of experience and offered to help with a rebuild. Certainly without his help, knowledge, research, friendship, attention to detail and support I’d have probably not have rebuilt the engine and simply retired the old girl. I’m glad I didn’t and will be forever grateful of all the hard work and effort that Gary poured into my “rebuild project”. 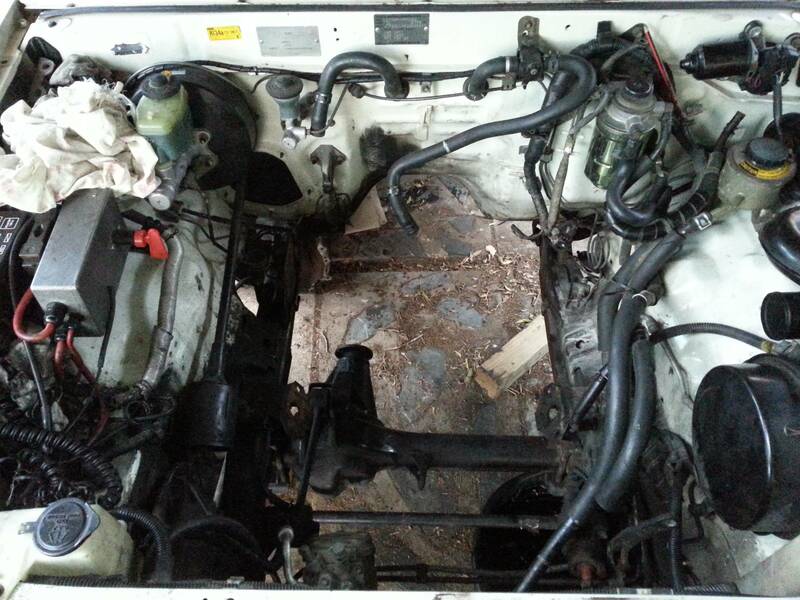 So the first step was to pull out the engine and see what sort of mess we were dealing with. Nothing like rebuilding a car in the drive way so here we go. Yep that is one very dirty, tired, greasy old oil burner. Mind you she’s *never* had a spanner on the head bolts. I’ve replaced starter motors, alternators, water and vaccum pumps, rebuild front and rear diffs a few times, replaced shockers, springs and bushes, but you get that with any vehicle that is 20 years old. 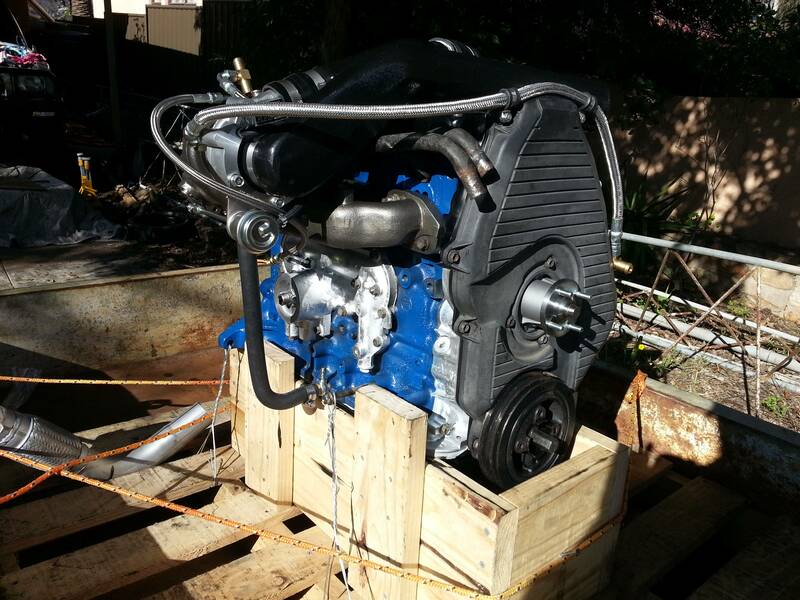 After researching my options and costs for a local rebuild I decided to send my engine to APA Diesel in Sydney. The cost of freight and insurance was surprisingly low for a pallet weighing some 170kgs. So here is what I sent to Sydney, and what I got back 4 weeks later. 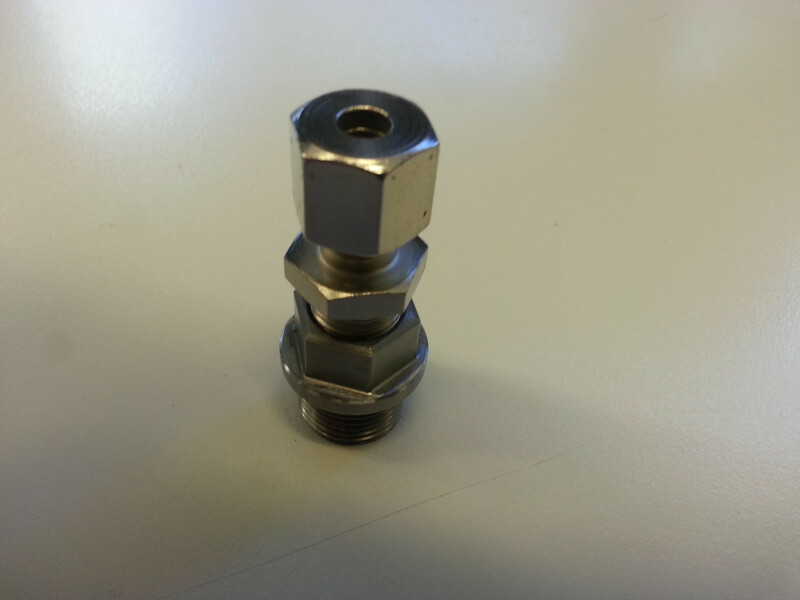 The boys at APA Diesel certainly did a nice job, the only piece missing was the sump plug (*grin*) not too bad IMHO. 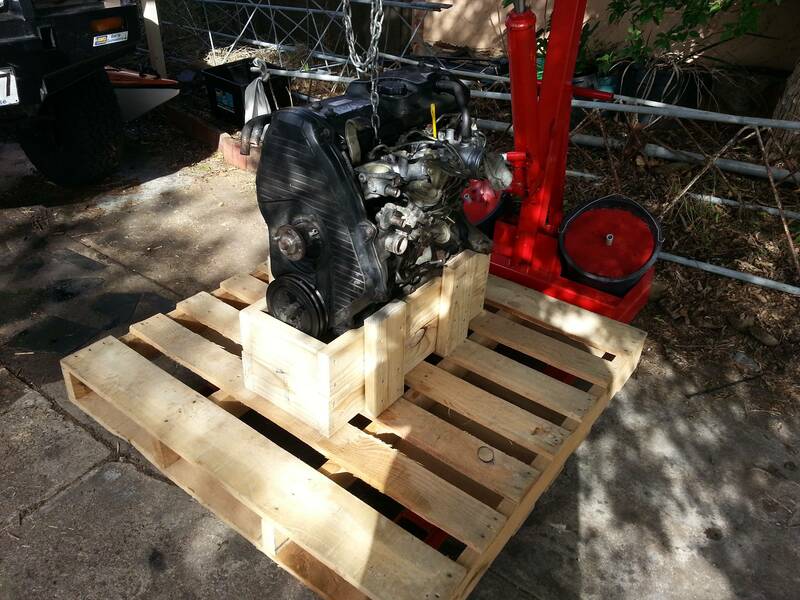 The frame for the motor on the pallet was custom built for less than $50 in materials. The difference is quite clearly chalk and cheese. Ok you might notice that on the exhaust side of the engine a few additional bits have been added. 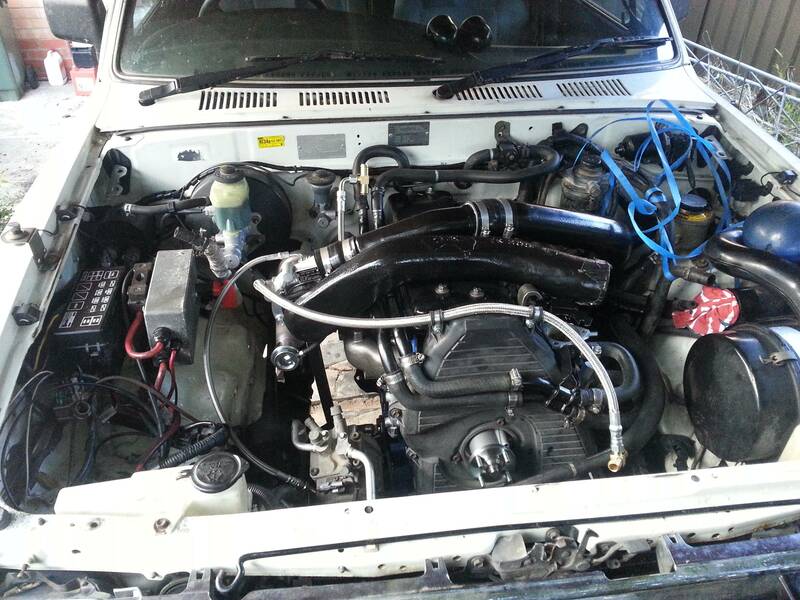 The original engine made 63kW@157Nm or torque when new, which was barely enough to get the Hilux up the next hill. It seemed silly to rebuild her and not “tweak” some extra ponies, so some forced induction bits were procured and bolted on. Part of the reason for me choosing an interstate Engine builder. The list of what was changed within the engine is long, but in short she’s been built to take the turbo from the ground up. No point in doing half a job. I’m expecting something like 80kW @ 250Nm of torque when we finally get her on the dyno in a few months for a tune up, will wait until after the breakin period to find out. With the engine out that certainly left a gaping hole in the engine bay, especially when we dropped the gearbox and drive shafts out too for some repairs. There was still a lot of oil around, but nothing a few tins of degreaser and a bit of high pressure cleaning can’t fix. 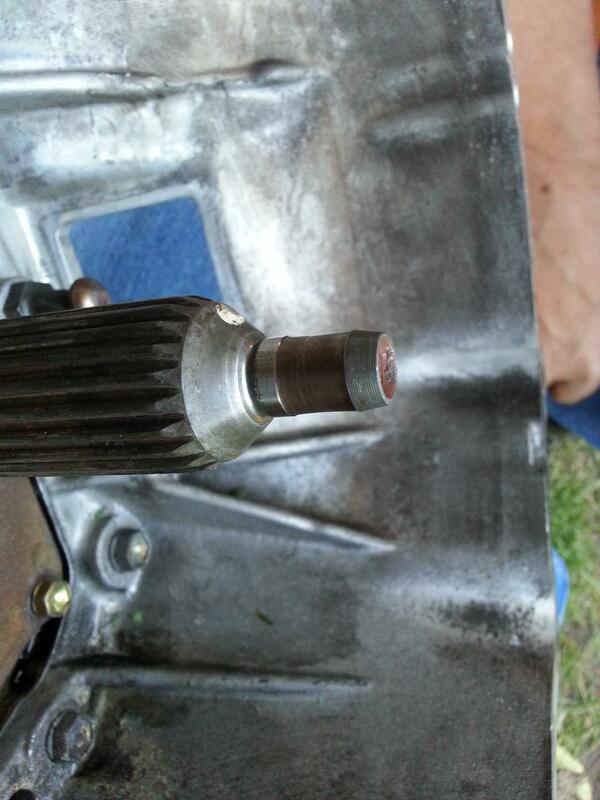 The gearbox was also leaking a little (ok a lot of) oil from it’s seals and had a faulty gear selector. At some point in the past the nut on the rear output shaft wasn’t done up tight and had been leaking for a considerable time, the mess 2′ either side of the gearbox on the under body of the car certainly stands testament to the duration of this leak. Steam cleaner here we come. 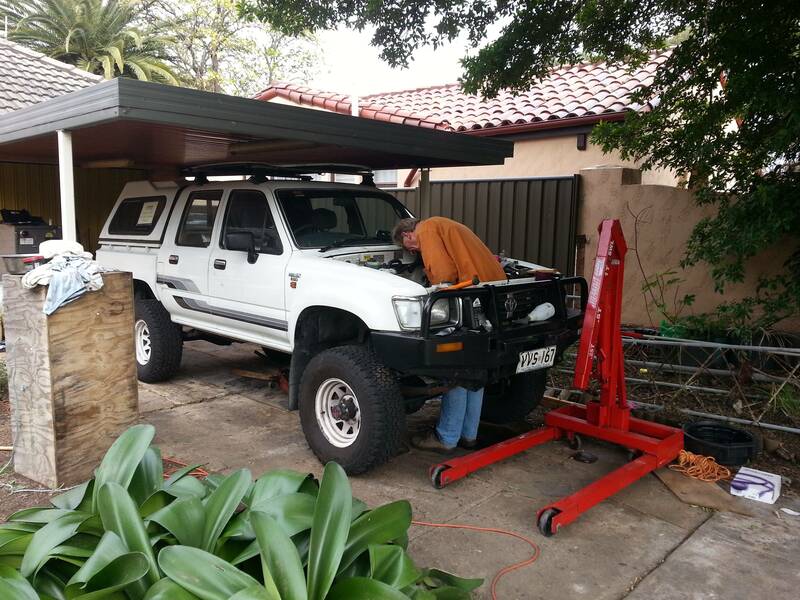 Ordering parts online for these old Hilux’s is now days very easy with the car being more than 15 yrs old. 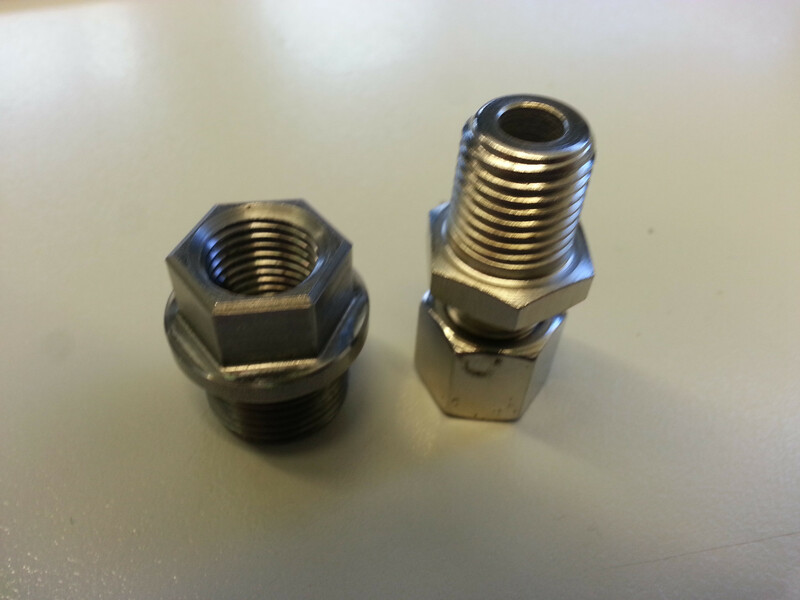 All of the OEM parts manufactures are pumping out cost effective replacements. 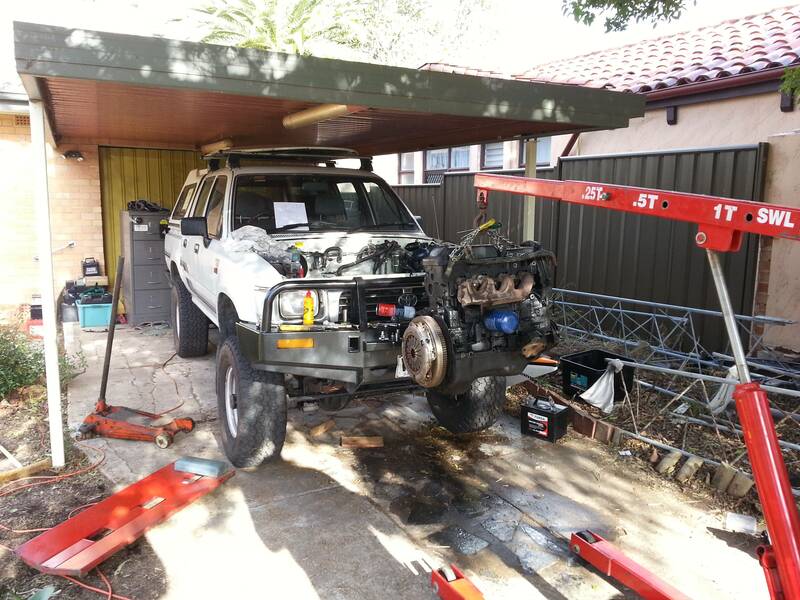 It helps that these Hilux’s are popular to rebuild here in Oz. 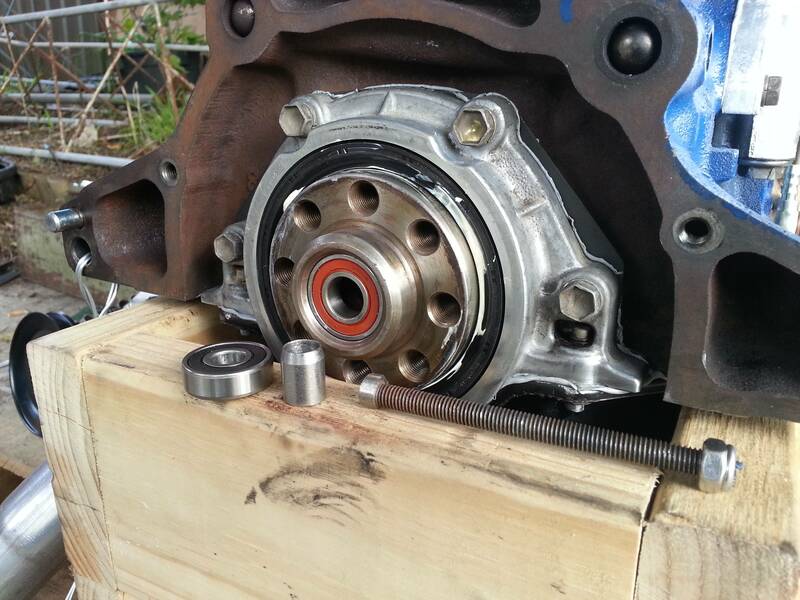 I ordered new seals, new selectors and bushes for a few hundred bucks and re-sealed the gearbox. It was not making any noise prior to the build so there was no need to open her up for surgery, just clean up around the outside. Man did that require some degreaser and high pressure cleaning however. During disassembly we also found that the input shaft to the gearbox had been nurgled by the previous spigot bearing disintegrating. Well munted is perhaps a better term, cant use the other vernacular in a public forum, but a picture speaks a 1000 words. It should be nice and flat without the scallop. Time to call on another favour from a club member Dennis VK5FDEN who is a fitter and turner by trade, also with years of experience to make a new sleave. A bit of loctite 660 (this tube got some good use), a good interference fit and some care and we simply increased the diameter of the spigot to the next size up bearing we could purchase. You should get the idea from these two pictures. Once the gearbox went back into the car you’d have been hard pressed to realise that the spigot bearing had been changed and the input shaft repaired. A job well done that is for certain and one that should last the remaining lifetime of the car. The power steering pump in the old girl snapped it’s bolt a number of years ago while on the Birdsville track. Not having a convenient fence to steal a bit of wire or enough cable ties, meant the pump spent time on a broken bolt for 300kms which resulted in the pump flogging out it’s mounts. This meant that the pump alignment to the belt was off centre and the belt and pump would make a squeek squeek noise when running. 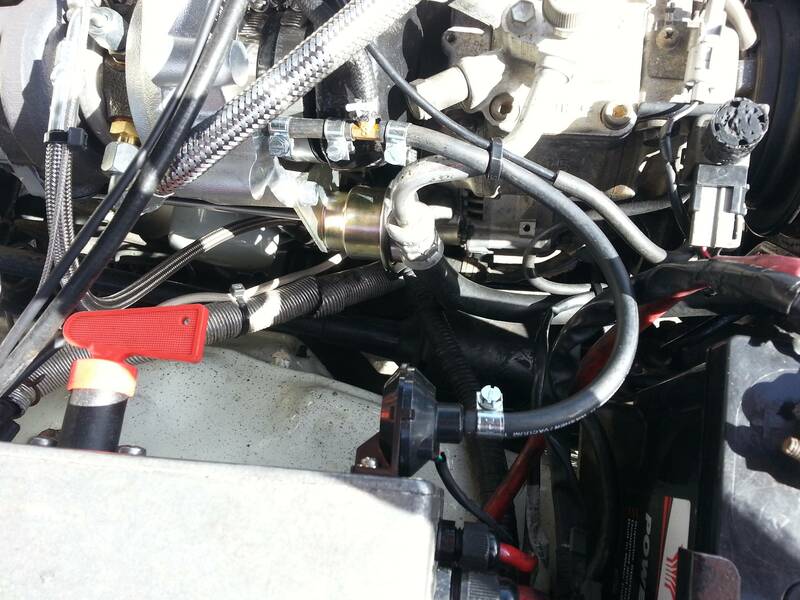 I was determined that this was not going to continue, so Dennis also repaired the pump with small bolt that would force the bolt back to where it should be with a lock nut. At some point the pump may have to come out and be repaired again (or replaced new if I can find one cheap enough), but cross that bridge later. For now the power steering pump is fixed. So it was now time to start putting things back together. As you can see above the engine went back in relatively smoothly. A bit of giggling and pushing for an hour or so saw the gearbox and engine re-united. Tyres had to be deflated to get the engine to clear the bull bar since the pipes on the turbo meant additional clearance was required on the hoist. We managed to clear the bull bar by only 1″ with the tyres fully deflated. At this point in the build the majority of work was being done by torch light under the veranda late into the night, so taking pictures or videos was a little difficult. Once the engine went back it in was a straight forward process to hook up the electrics, plumb in all the necessary water lines, fuel lines and oil lines. Re-fitting of the starter motor was fairly straight forward if not a pain due to clearance etc. It turns out the airconditioner compressor has a crook bearing so that will have to be fixed at some point in the not too distant future. We left the belt off to remind us to fix it. 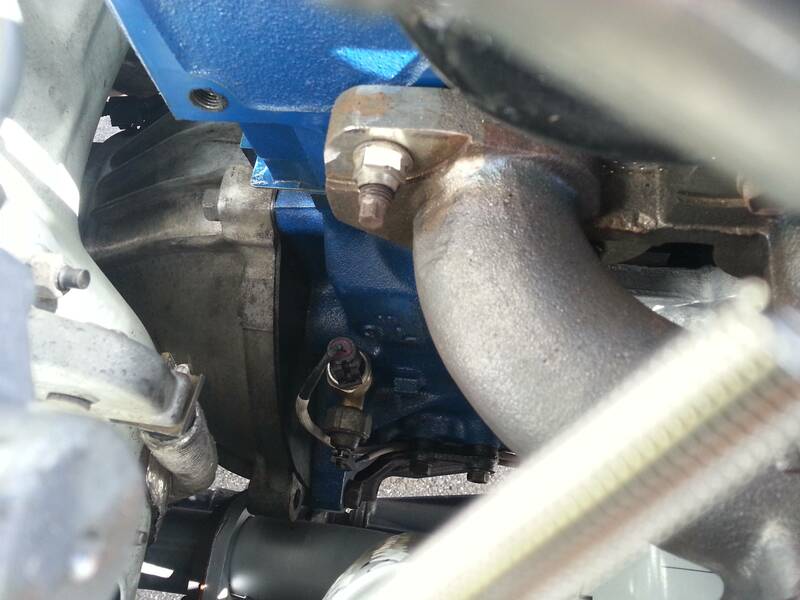 A temporary exhaust was fashioned from the old header pipe, this will need to be “re-worked” at a local exhaust shop. A while ago I had the exhaust replaced with a 2 1/4″ system which it turns out is perfect for this turbo setup. Wooo the power. 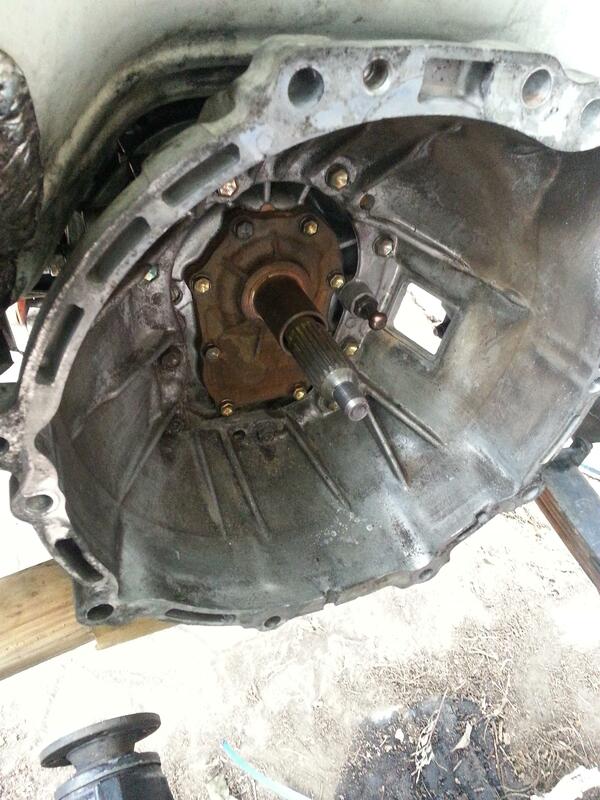 Drive shafts were put back in, two of the yokes were “notchy” and were overhauled by my local mechanic near work. We’ll leave the discussions about bruised drive shaft mating surfaces for another time. If we only had the necessary press (*sigh*). The rebuild process once the engine arrived was a little over 5 days, most of that was spent cleaning, washing and painting parts. This is a busy time of the year for our radio club, so there wasn’t much time on the weekends prior to do all of the prep work before hand. 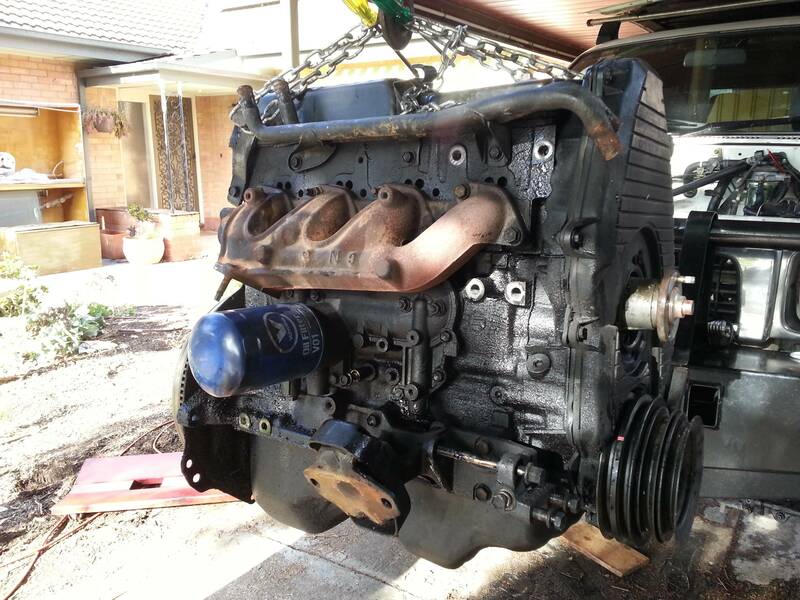 In all it’s taken 8-10 days to actual effort to take the engine out, repair and put back in. Linear time however has been weeks of waiting, the freight backwards and forwards being the longest. Doing it ourselves has saved a lot in labour costs. Then all there was time to do was go and drive it, find some big hills and see what difference the turbo makes. Keeping in mind that this is a brand new engine that still has to be “broken” in, so no thrashing it, no labouring it just let it work and keep pulling. So maybe sometime next year or the year after it will be “finally broken in” (*grin*). 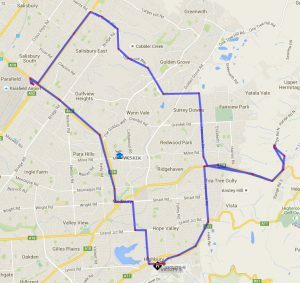 There are a number of hills in this loop that we just scooted over the top of in top gear at the speed limit, where previously it would have been in 3rd gear having the neck wrung out of it to hold 10 or so kph under the limit. There is no doubt that the turbo has increased both power and torque considerably. Before this drive Gary and I did a small loop over the top of Norton Summit up some very steep gradients, but I forgot my antenna so didn’t get it on APRS. It’s funny too how cars develop gremlins while sitting still. When driving the car in the big loop above the windscreen wipers decided they wanted to start going along with the washer all of their own accord. A quick stop at the 24hr car wash (great lighting !) behind the servo saw both the windscreen wipers and washer unplugged. I’ve a nasty feeling the combination stalk is on it’s way out, otherwise there’s a relay there full of water I’m yet to find. Nothing that this scribe can’t fix. 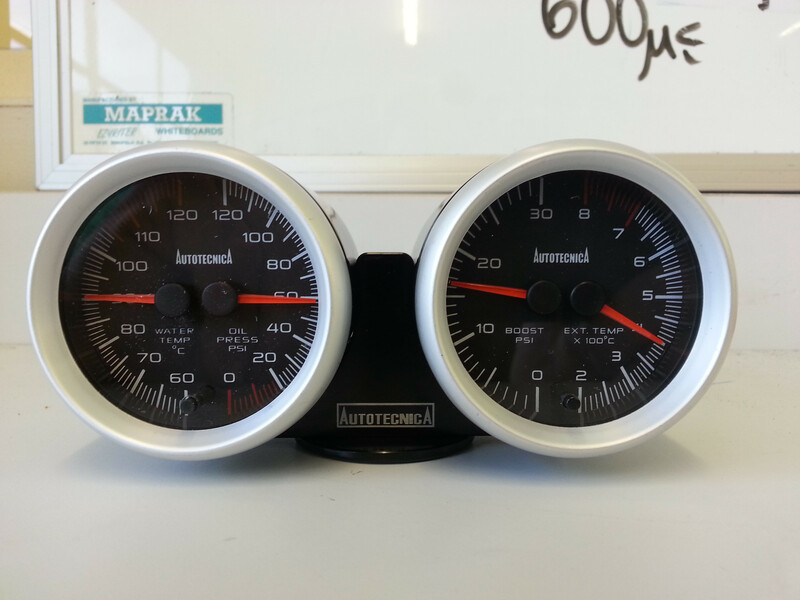 Now all that remains is to add my new gauges so I can keep an eye on what the new engine is doing. All of the senders were added to the engine as we went (EGT, oil and water) just need to find a bit of fuel hose to plumb in the boost. 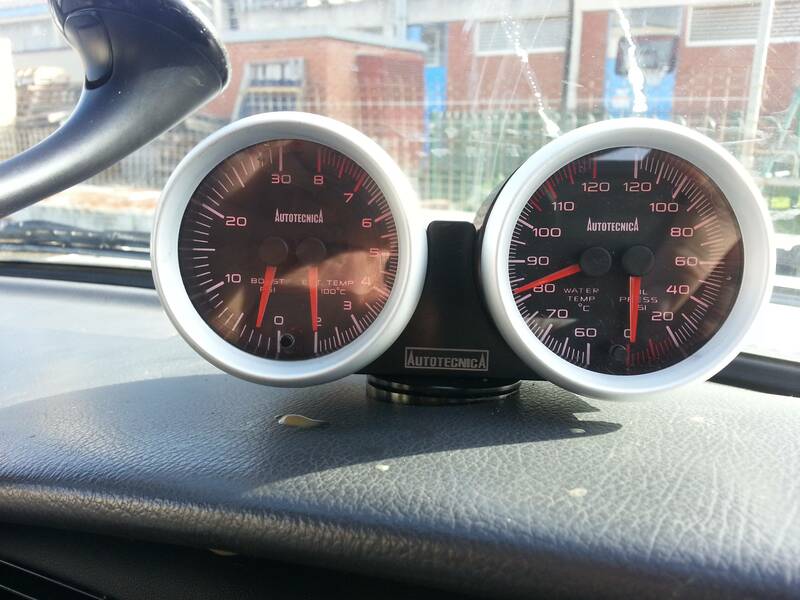 I found these really nice dual gauges on ebay with electronic senders. A touch of class while being able to look at all “vital engine statistics”. The wiring should be complete in a few days. Now I guess I’d better get back to work and earn a few dollars to pay for my engine rebuild. Can’t wait for the next fox or balloon hunt to see how much earlier we can arrive on site (*grin*). Taking it for a any drive puts a smile on your face. Thanks again to everyone that came to visit and help with the build, I think the comment “It’s amazing that you can learn by holding a light” by Kim VK5FJ is both funny but very true !! !